Of more modern concept that the F.1, the F.2 two-seat fighter was, like its predecessors, of wooden construction with fabric skinning, apart from the sides and top decking of the fuselage which were plywood covered. Designed and built while the F.1 was under construction, the F.2 underwent official testing two months prior to its predecessor, in May 1917. 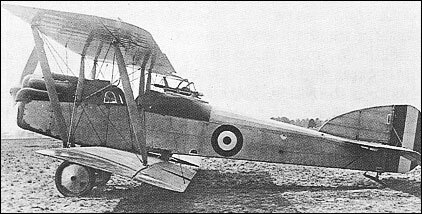 The F.2 was powered by a 200hp Hispano-Suiza 8Bd eight-cylinder water-cooled engine and carried an armament of one fixed and synchronised 7.7mm Vickers gun and one Lewis gun on a Scarff ring. Shortcomings revealed during official trials ruled out a production order, and the prototype was utilised as a test-bed for the then-new Sunbeam Arab engine.